…That rustle of global shopping bags? …That silent cha-ching of credit card chip readers? …The collective stilettoed footsteps of fashion girls (and some boys) in New York, Montreal, Toronto, Paris, London, Sydney and beyond? Well, it’s for a very good reason. If you haven’t heard/or read your emails/or have unfriended your Facebook/or have teetered off of Twitter and have generally separated yourself from social contact, tonight (and in some cities like Mumbai and Delhi – tomorrow night) is Fashion’s Night Out. Now in its fourth year, #FNO was originally devised to boost fashion retail sales during tough economic times. The global event, held this year in almost 20 countries, is sponsored and trademarked by the CFDA and Vogue, with the main mastermind behind it being one Ms. Wintour. So, in honour of our dear Ah-na, I thought I’d show you some snaps from her big night out in NYC tonight. She was mingling with the masses! Mind the master, won’t you? 1. 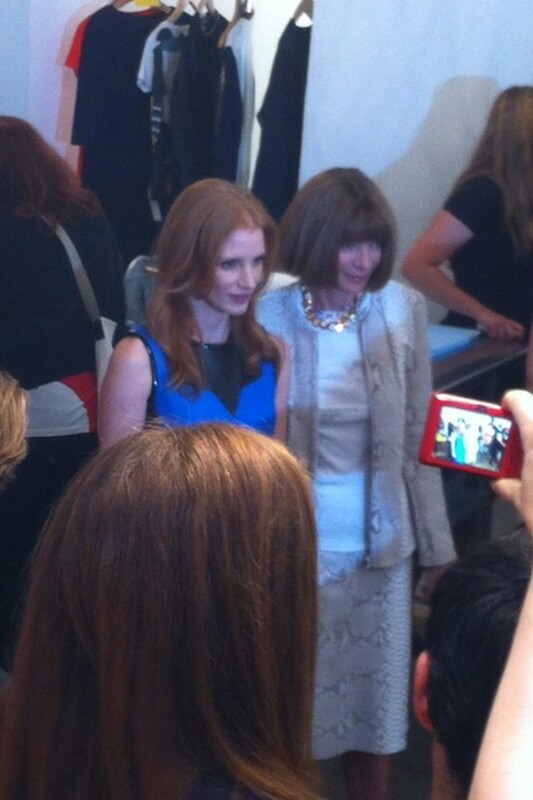 Anna Wintour kicks things off at Calvin Klein. 2. 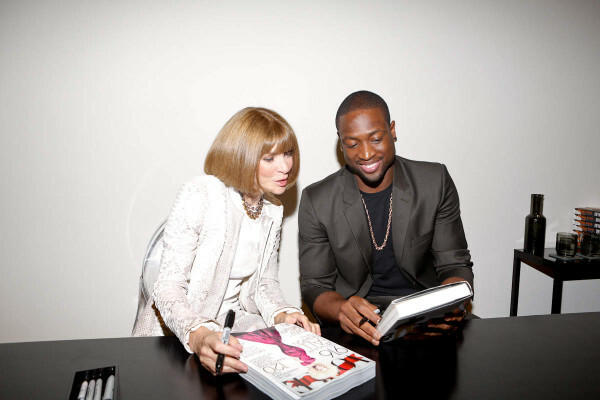 Admiring her own work, with Dwayne Wade at Calvin Klein. 3. At Saks Fifth Avenue with Darren Criss. 4. Posh fashion sisters at Bergdorf’s. 5. Anna sure gets around. Here she is at QVC (!) with Vogues awaiting her signature. 6. Packing heat with Jessica Chastain at Jeffrey in the meatpacking. Did I venture out for FNO, you ask? I’m more of a Fashion Night (in) kind of girl.